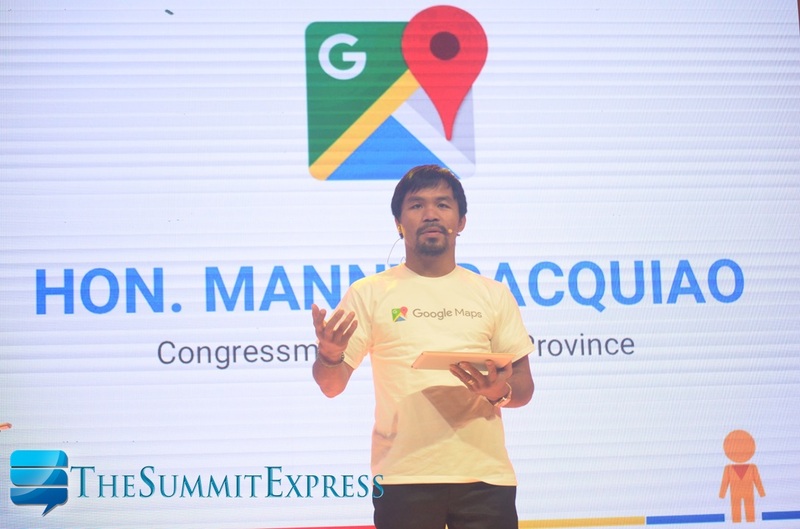 MANILA, Philippines - Google officially launched Wednesday, September 16 the first Street View imagery of the Philippines which is now live on Google Maps. 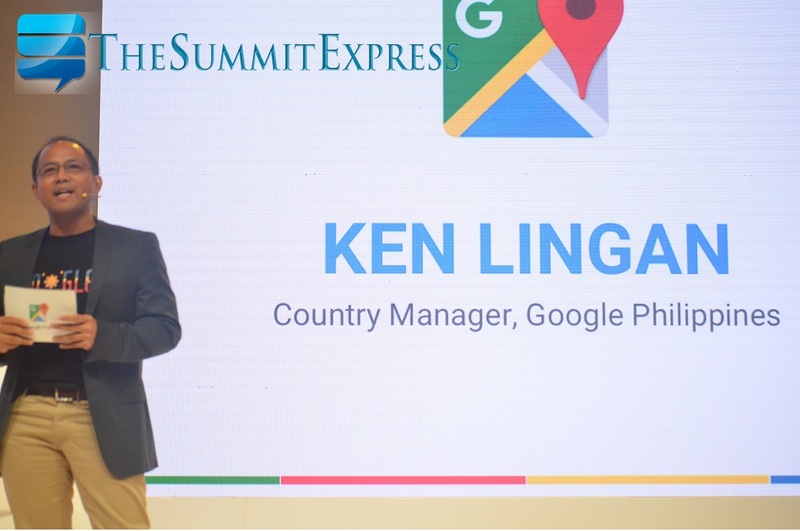 This new imagery allows anyone with an Internet connection to view 360-degree panoramas of well over 30 major metropolitan areas of the country. The launch event was graced by Pambansang Kamao, Manny "Pacman" Pacquiao and Mr. Domingo Ramon Enerio III of the Tourism Promotions Board. Discover the wonders of the Philippines such as historic locations like Vigan City in Ilocos Sur, the Baroque Churches of the Philippines — UNESCO World Heritage sites — and favorite destinations like Mount Pulag and the beautiful beaches of Bantigui Island through Street View. 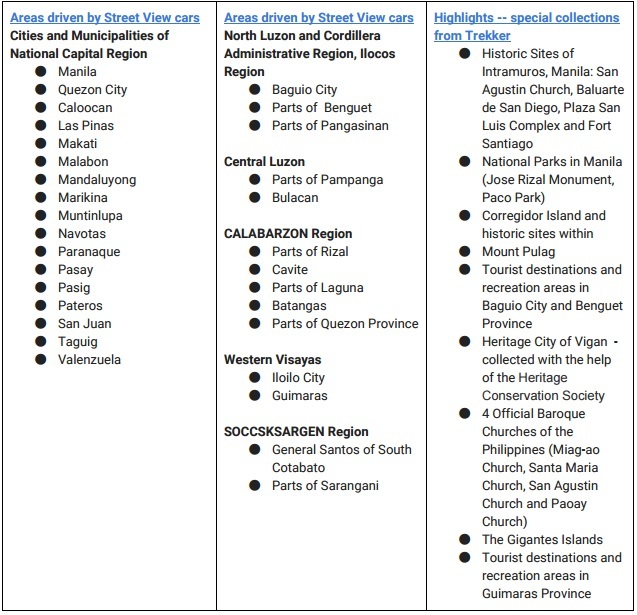 With the street-level panoramas, Filipinos can now check out new views of familiar and unfamiliar landscapes, research driving routes, arrange meeting points, and explore their own town more closely. 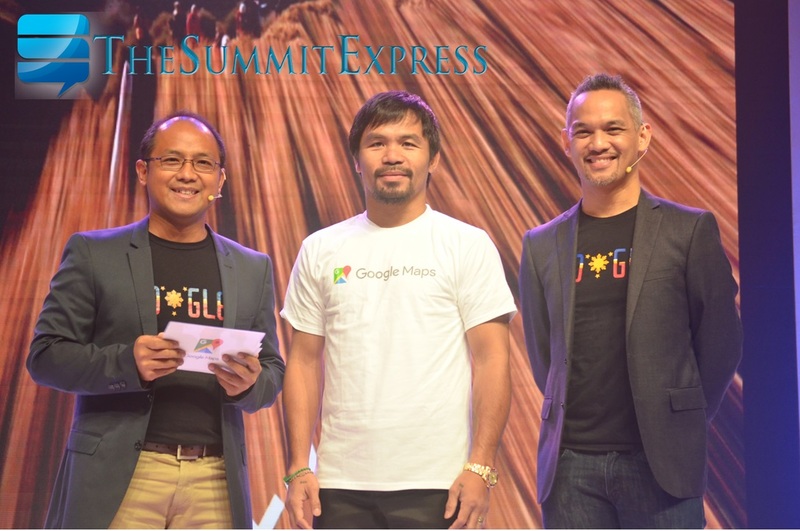 Filipino businesses can also benefit from Street View technology by embedding Google Maps directly into their site. Hotels, for example, can easily show their prospective guests what the building looks like from the street and provide them with a sense of the surrounding neighborhood. 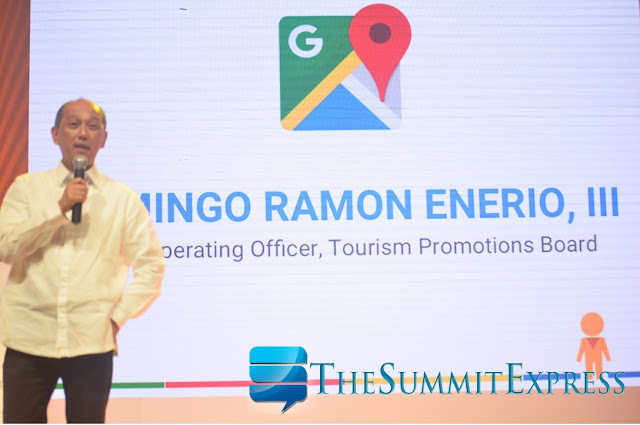 The 360-degree digital imagery of the Philippines will also let people around the world experience sites they may never have a chance to experience in person, including iconic locations and vistas across the country. 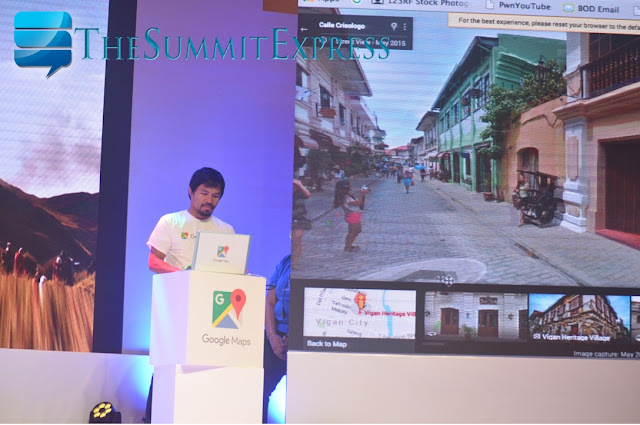 Google said that Philippines is the 69th country to have Street View imagery. Street View driving was started in January 2014 with 360-degree photos from within Manila’s historic walled city of Intramuros: The San Agustin Church, Baluarte de San Diego, Plaza San Luis Complex and Fort Santiago.